Department of Computer Applications has been established to design and offer courses with the twin objective of producing world class computer professionals to keep pace with the R & D activities in this fast emerging and changing field of computer applications. 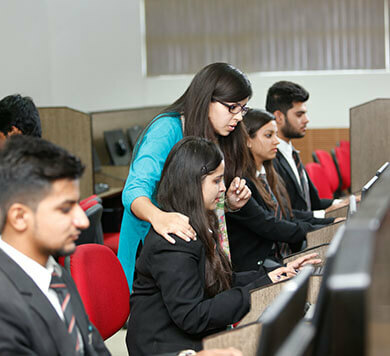 Ever since its inception in 2001, Department of Computer Applications strives to meet the computing needs of different sectors and offering specially designed courses to their students. Seminars, workshops, conferences are frequently arranged so that the students can keep pace with upcoming technologies. Active participation of Industries in teaching-learning process through industry visits & guest speakers. Well-equipped class rooms with hi-tech LCD projectors which supports modern learning and teaching processes. Specialized software training by industry experts. University Curriculum is complimented by PDP and Value Added Courses. To rejuvenate the students, frequent tours for recreation are arranged. Compulsory soft skill & aptitude building training as an integral part of Curriculum.